Now that you know what the Electrical Installation Certificate (EICs) is, also called an electrical bulletin, the next thing is to know when and who can request it. 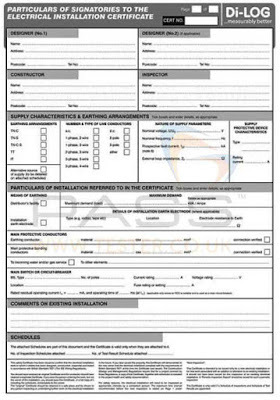 This official document guarantees that all the requirements of your home or business are met to receive the electricity supply, and that document must be issued by an installation company or a certified electrician, either private or from the distributor in your area. You will remember that each Autonomous Community elaborates a certificate model, but the information it contains is the same: the installed power and the maximum admissible power (the kW that can be supported by the electrical installation), a scheme and a location plan with the elements of the electrical network (where is the box, the plugs and the switches) and the characteristics of all the installed elements. This is clear, but at what point is it necessary to obtain the EICs and when and by whom? When do you need the bulletin to register the light? 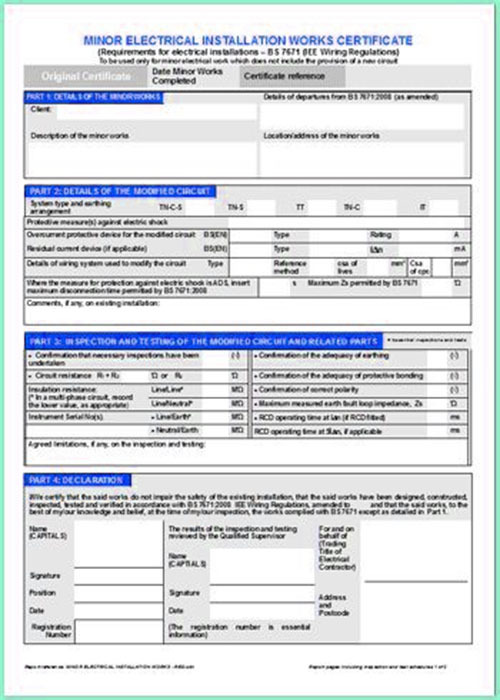 The EICs bulletin has a validity period of 20 years and all households, premises and industrial buildings must have one. Every 20 years, therefore, an inspection must be requested, since otherwise the distribution company (the entity that requests it) would not continue to supply electricity. Keep this in mind if, for example, you buy a second home. You will have to make sure that the EICs has not expired. Of course, if the house is new, it must be verified that it complies with all the requirements of the electric bulletin. Another circumstance in which you will have to request the electric bulletin is when you want to increase the contracted power, in order to verify that the installation will support this increase in kilowatts. It will also be essential to request a EICs when we make a change in our electrical installation. 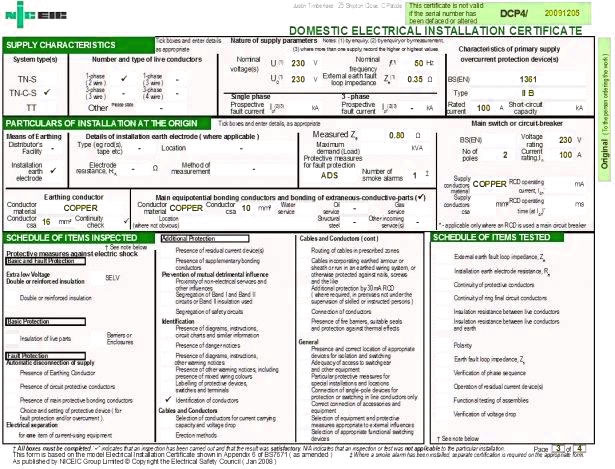 All the changes that we introduce in the electrical wiring of our house must be reflected in the bulletin, being obligatory therefore that this official document is totally updated. Finally, you will have to obtain the EICs when there has been a cut / loss of electricity due to non-payment. 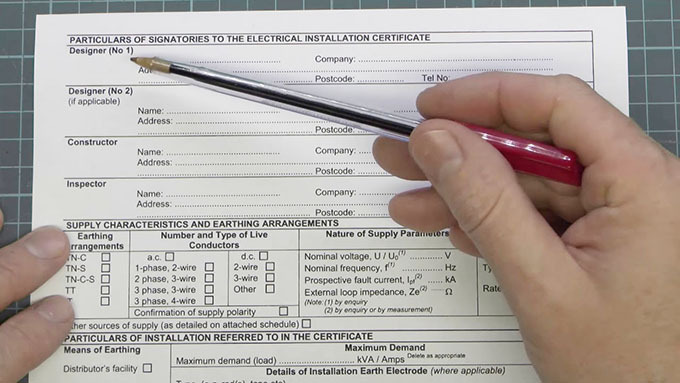 How long does it take to get the electric Installation Certificate and what is its validity? Like almost everything, it depends. First, it depends on how long it takes for the electrician to perform the inspection. Second, it depends on whether the inspection is favorable. In that case, you can obtain the electric bulletin within a maximum period of 5 days. If it is not favorable, it will take more time, because you will have to wait for a more detailed inspection and correct any defects. The validity of the electric bulletin is 20 years, this means that after this time a new revision must be made, analyzing the state of the installation and checking that it has not been tampered with. 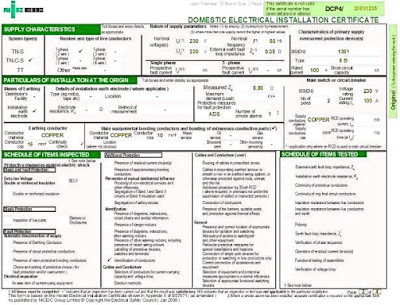 If improvements have been included in the circuit, they must be included in the new electric bulletin certificate. What is the price/Cost of electrical certification? 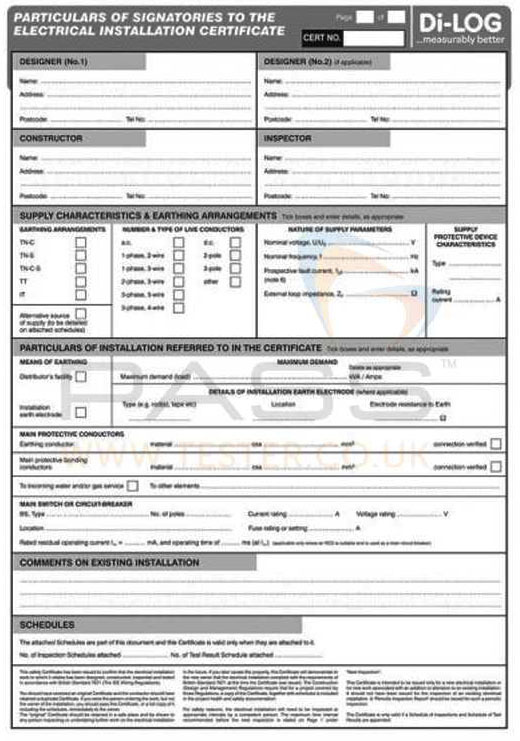 In order for the Electrical Installation Certificate to be issued, it is mandatory that the installation complies with a series of conditions. To begin with, in cases of renewal it is essential that the network is identical to the one specified in the previous certificate, otherwise it will be obligatory to make a new certificate in which the changes made are exposed. It is also necessary to know the data related to the property such as its location, use to which it is intended and the personal data of the owner. Regarding the technical data, an approved electrical network must work correctly. 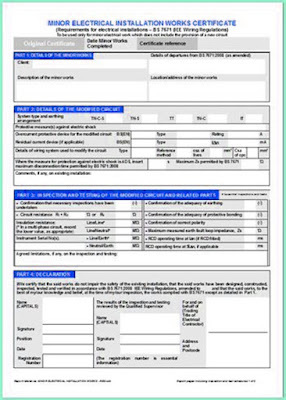 This is the main requirement to approve the EICs, but also the document includes technical data such as the type of supply, the distribution company, level and insulation material or the expected and installed power. Finally, a space is included for the professional who has carried out the inspection, in order to verify that it is an authorized electrician. Once again we insist on the convenience of contacting authorized professionals, who are not only able to evaluate and repair the electrical system, but also have the official authorization to issue the electric bulletin. If you have any questions or concerns about this topic in Podo we can help you, contact us and get your electric certificate at the best price.